A touch of elegance for your flower garden! 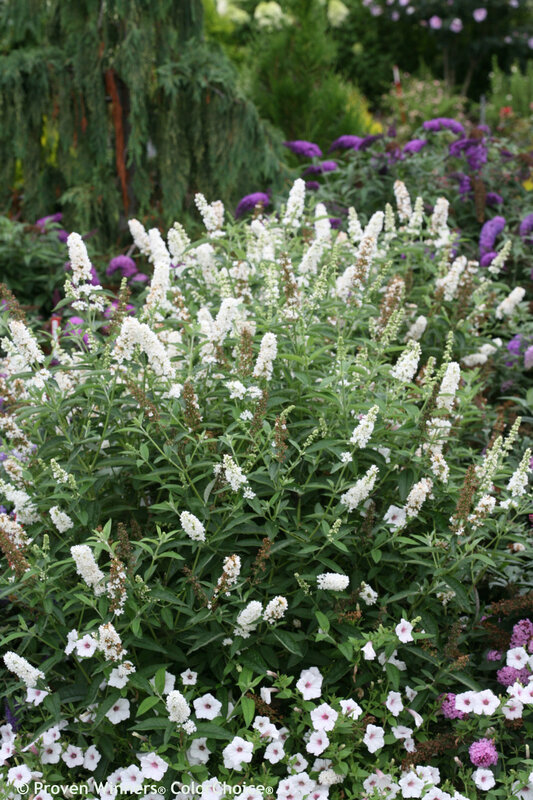 The crisp, clean, pure white flowers of 'Miss Pearl' buddleia are the perfect accent for any landscape, from a cottage garden to more formal plantings. 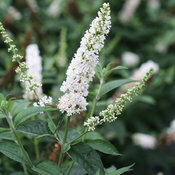 The newest member of the perfectly-sized "Miss" series, it offers a new color of these refined, non-invasive butterfly bushes. 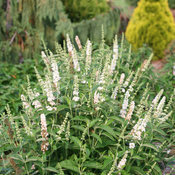 'Miss Pearl' blooms for months and will never be without dozens of honey-scented flowers in the summer time. 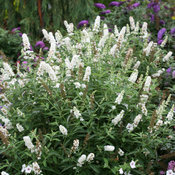 'Miss Pearl' butterfly bush adds long-lasting flower power to any sunny spot in your landscape. 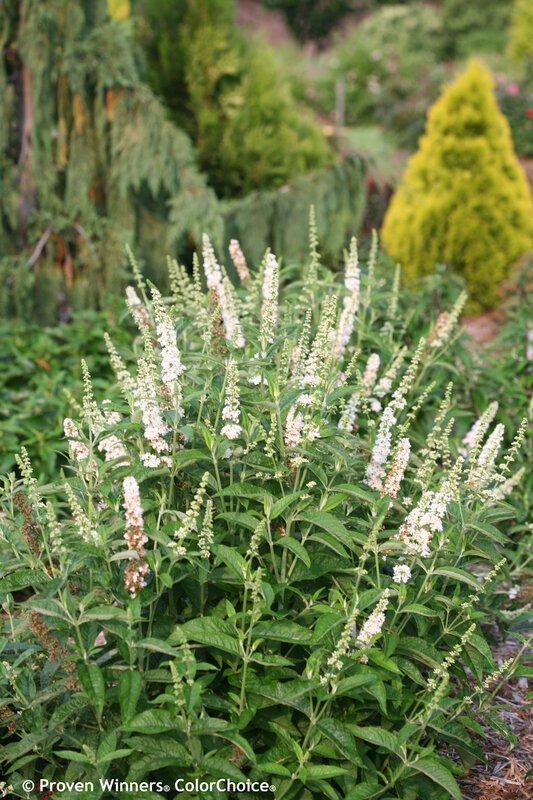 It's a particularly nice choice for flower beds and cottage gardens, or use it as a blooming hedge to provide coverage in the summer. And of course, it's a natural choice to add to your butterfly garden. Learn to care for your butterfly bush like a pro with our Ultimate Guide to Butterfly Bush. 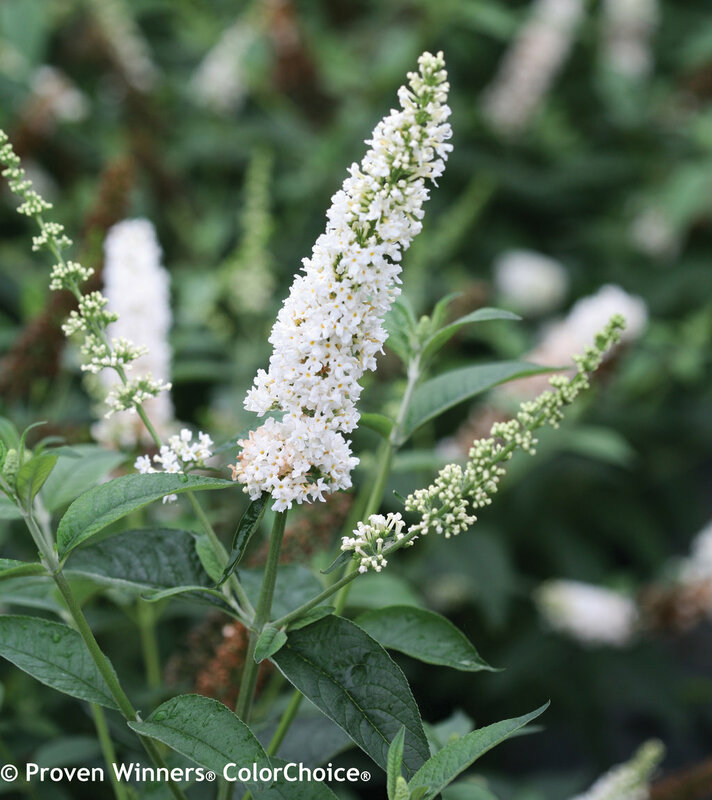 This non-invasive variety is approved for sale in Oregon and Washington, though it will be called a "summer lilac" instead of a "butterfly bush." Smells like honey. Alway blooming. White flowers shine in moonlight, so plant them by a window and a door to see them at night.